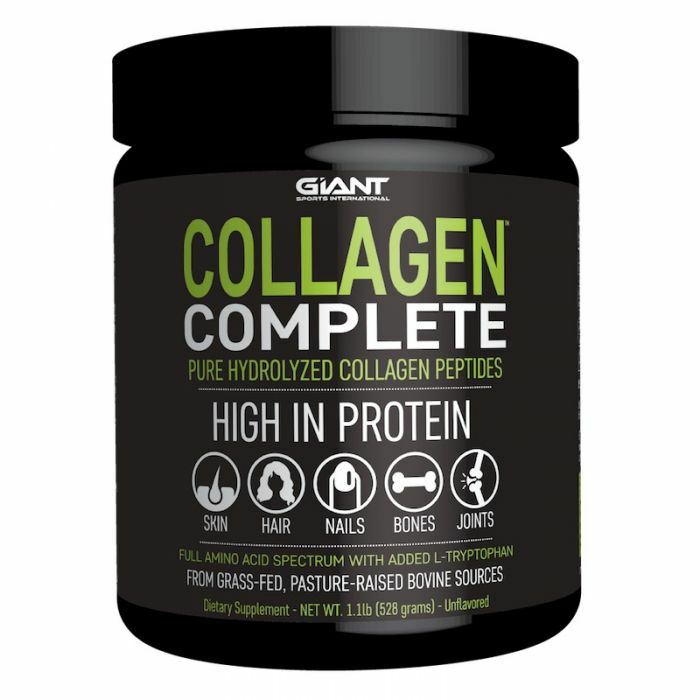 Complete Collagen from Giant Sports is one of the few collagen products that contains all of the essential amino acids. This is because Giant Sports have gone the extra mile and fortified their hydrolyzed collagen with L-Tryptophan. Smart move. Though we don't need tryptophan for protein synthesis, like building muscle, it really is an important amino acid. We need L-tryptophan for the synthesis of serotonin, NAD and picolinate. These are needed for gut and brain health, energy production and to assist with nutrient absorption, respectively. L-Tryptophan is often left out of sports nutrition formulations, likely due to the fact that it's not incorporated directly into muscle. However, when it comes to the kind of physical performance required to achieve as an elite-level athlete or sports person, it is essential to support all areas of the body. Digestion and nutrient absorption, mood and energy level certainly are important components of performance and recovery. Hydrolysed collagen contains specialised amino acids, called hydroxylysine and hydroxyglycine. These are helpful nutrients for supporting soft tissue strength and healing. Collagen is a rich source of glycine, which is directly incorporated into skin, where it may assist with healing and elasticity. 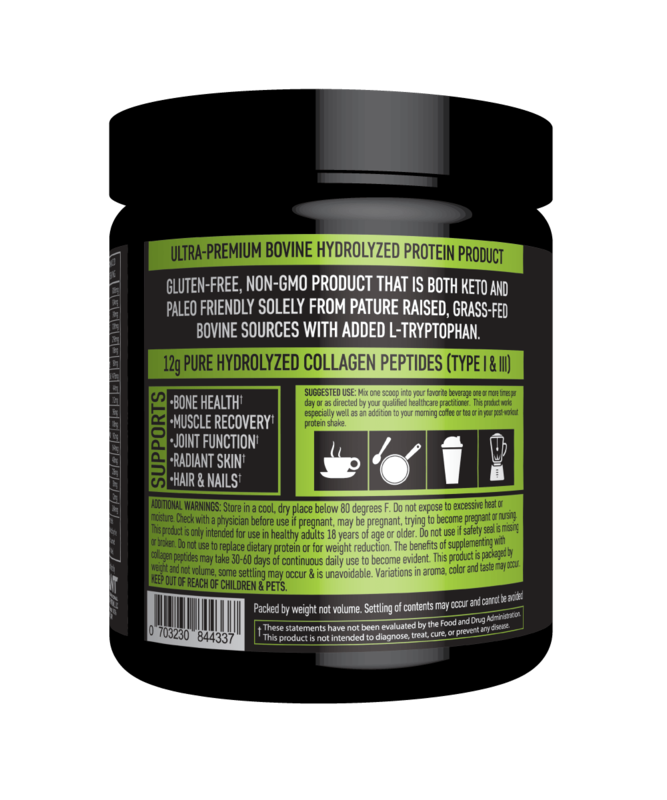 Collagen Complete may also come in handy for powerlifters, strength trainers or anyone performing low repitition heavy training. This is simply because these types of exercises place a great deal of stress of cartilage, ligaments and tendons. Hydrolysed collagen may support the strength and integrity of these tissues. However, it is important to include this product on top of your daily protein needs. This is due to the high non-essential amino acid content of collagen. 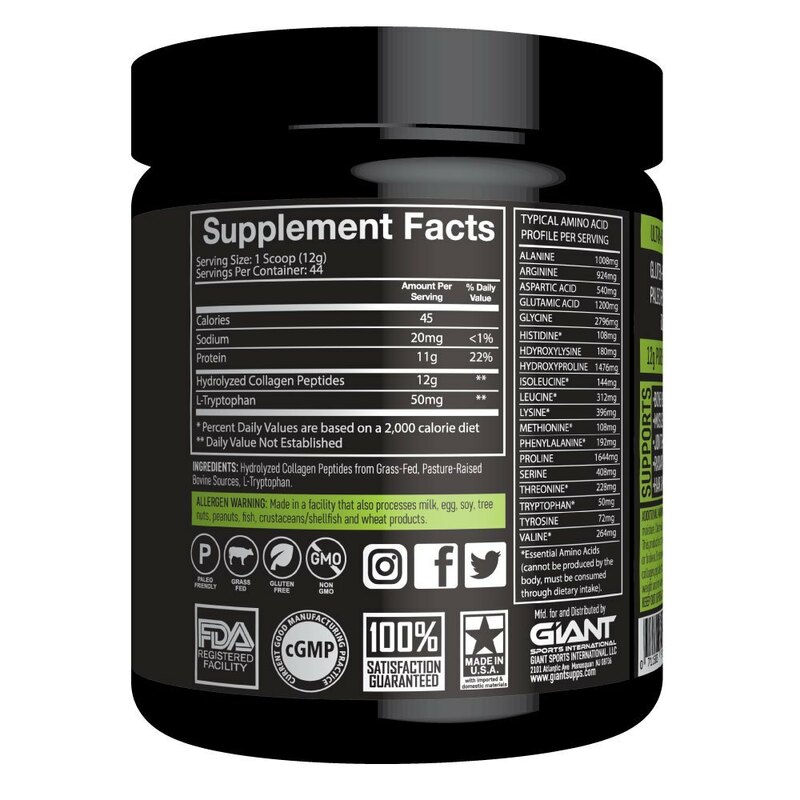 Giant Sports have created a unique functional formula, fortified with the essential amino acid L-Tryptophan. Collagen Complete may be just as helpful for young powerlifters as it is for the management of osteoarthritis that typically occurs in older age. Mix 1 Scoop into your favourite beverage 1 or more times daily. Add it to your morning coffee or mix it in with a post-workout protein shake! 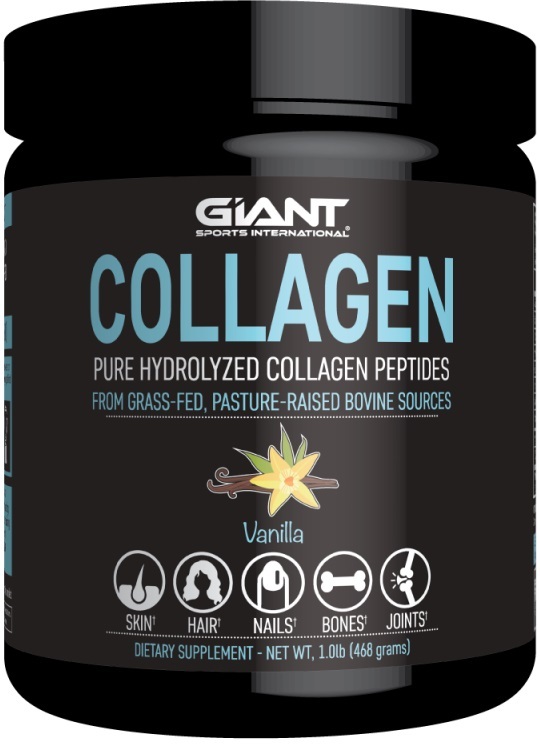 Complete Collagen INGREDIENTS: Hydrolyzed Collagen from Grass-Fed, Pasture-Raised Bovine Sources, L-Tryptophan.